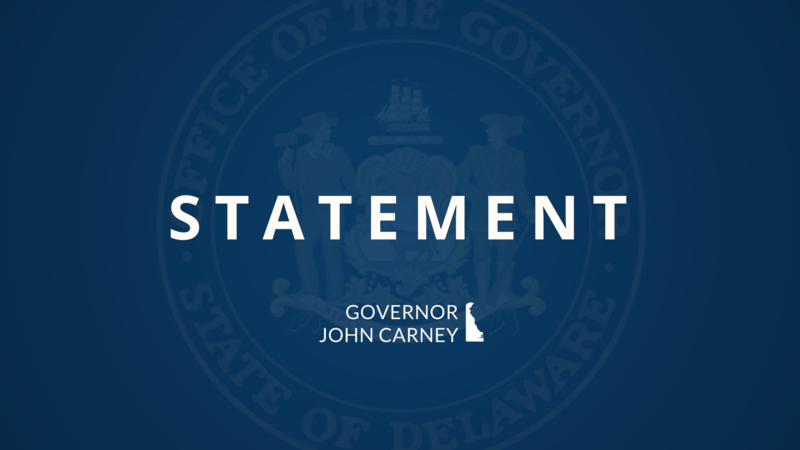 “Last July, I asked Education Secretary Susan Bunting to draft a new regulation that would require Delaware’s school districts and charter schools to create consistent, meaningful anti-discrimination policies. We acted on the simple premise that no child should be made to feel uncomfortable or unwelcome at school because of who they are. Every student deserves to be respected and affirmed. Our goal was to help protect Delaware children from discrimination at school so they could focus on their education. That remains our goal today. I also believe that families are critical to the education of Delaware’s children. Parents are their children’s first teachers, and they are our partners in this endeavor. The more engaged and involved families are in their children’s education, the better off our students will be. Throughout the process of creating this regulation, I carefully listened to the feedback of Delawareans. Secretary Bunting did the same. We heard concerns from parents who wanted to ensure they had a say in the decisions schools make regarding their children. We attempted to address those concerns. On the other hand, we heard and understand concerns that have been raised by the LGBTQ community. They are working to protect some of our state’s most vulnerable children. In light of the recent Boyertown decision by the Third Circuit, and the comments received from across our state, we are considering our next steps on Regulation 225. We will remain committed to public engagement as we determine the path forward. I want to thank Secretary Bunting and her team for their work on this regulation, and for their commitment to public engagement throughout this process. I also want to thank members of the development team that crafted the original regulation – including students, parents, superintendents, principals, school board members, and advocates.